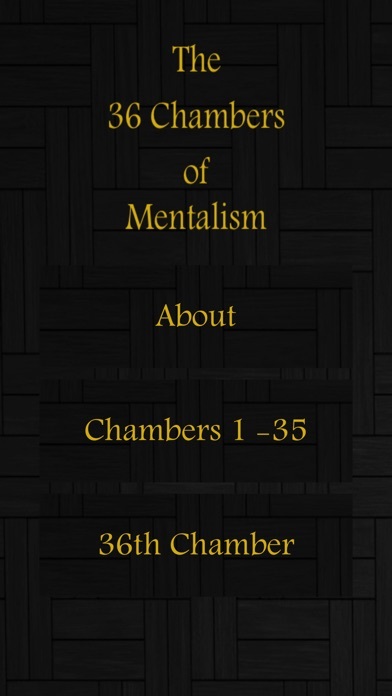 Download The 36 Chambers of Mentalism free via AppsHawk. 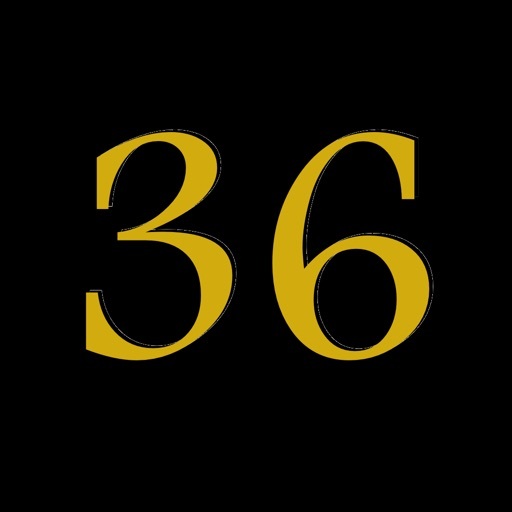 The 36 Chambers of Mentalism pays homage to a nearly-forgotten performance art known as â€œtwo-person mentalismâ€, which reached its peak in the 1940â€™s. 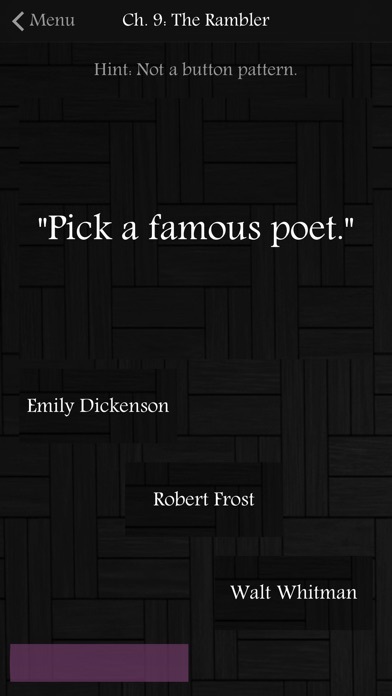 This app brings old-school thought to the 21st century, blending original ideas with those passed down from the generations before us in a new, exciting way. 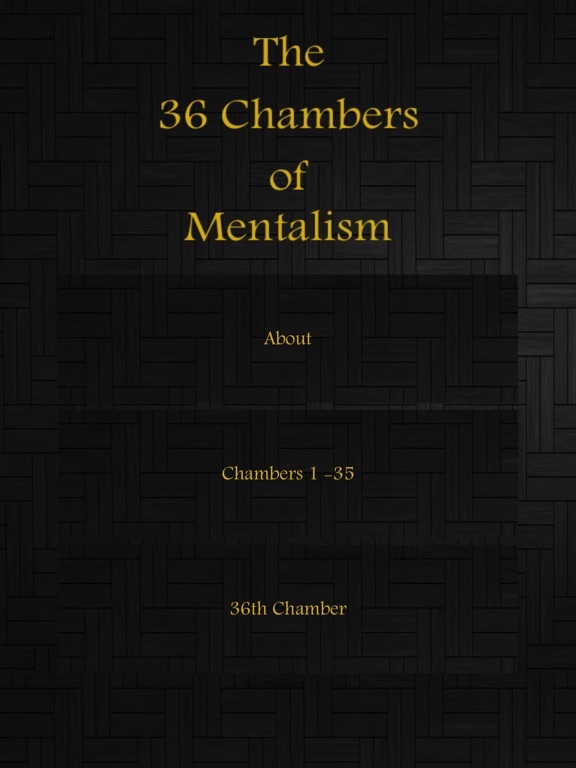 How many chambers can you master? Your goal is to pick up on what I'm putting down. 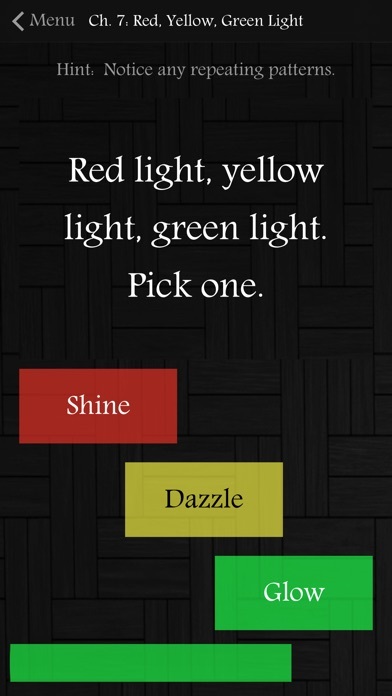 Essentially, you are honing your ability to recognize patterns through trends and logic. Each chamber will appear the same, but will vary widely in both concept and difficulty. Once you figure out a particular key, the answers in that chamber become quite clear and easy to master. Most chambers will likely require the use of a pen and pad to arrive at its key. I strong encourage this. The first ten (10) chambers are already open. Once you master a chamber, a new one is unlocked. You will see this update once you re-enter through the main screen. 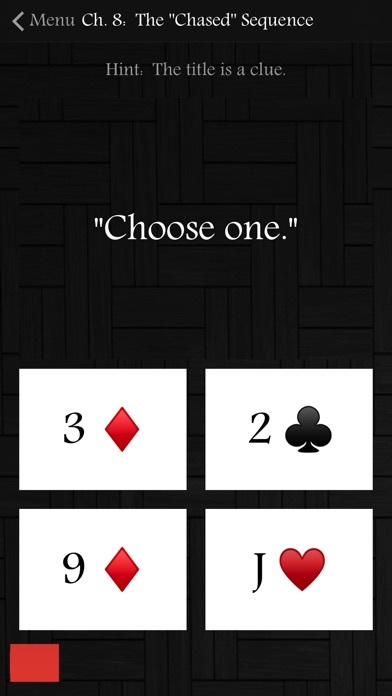 The open chambers can be played in any order youâ€™d like. If you get discouraged with one, just leave it and move on to another. Various hints will be given throughout each chamber. Some hints are more helpful than others, but all are guided toward the key. 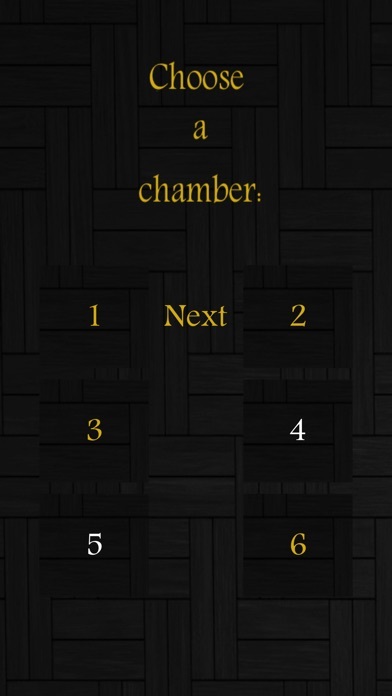 How many chambers can you master?